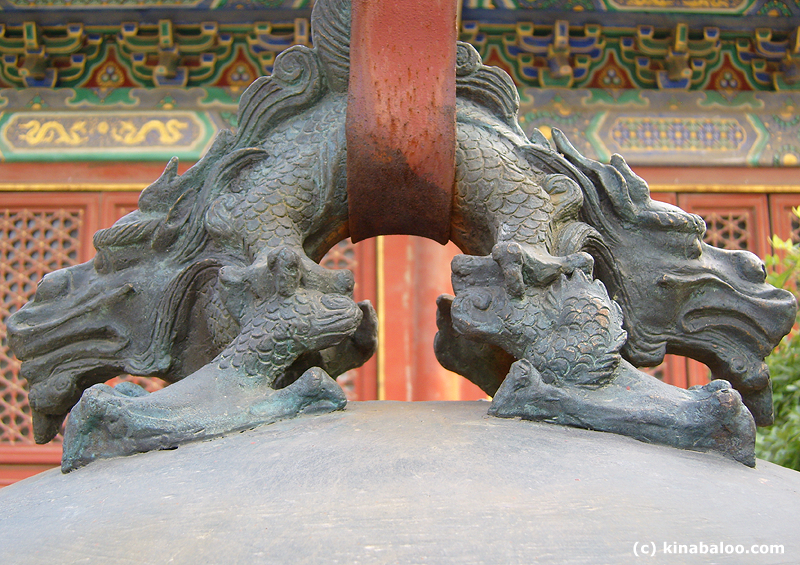 It is one of two famous white dagobas in Beijing. Although 15m taller than the dagoba in BeiHai Park, the one in BeiHai is a much more noticeable landmark because it sits on a hill. 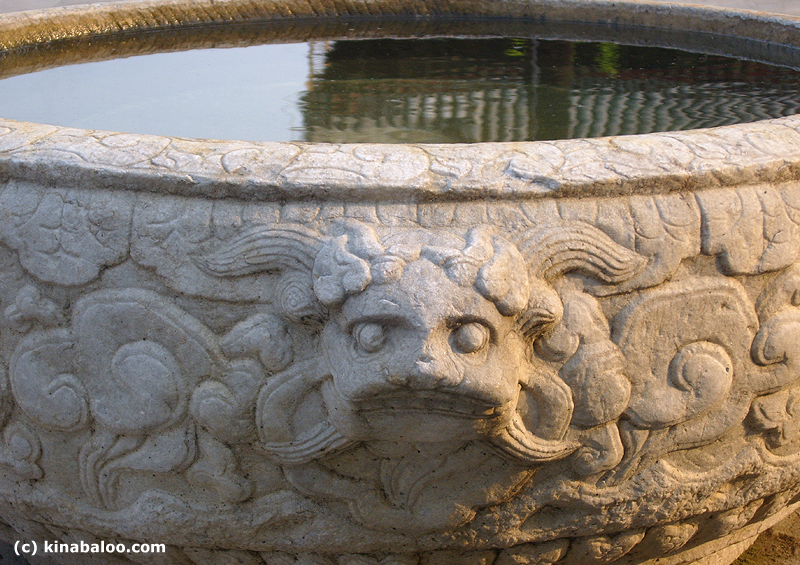 It is a short walk east from FuChengMen (FuCheng Gate) subway station. 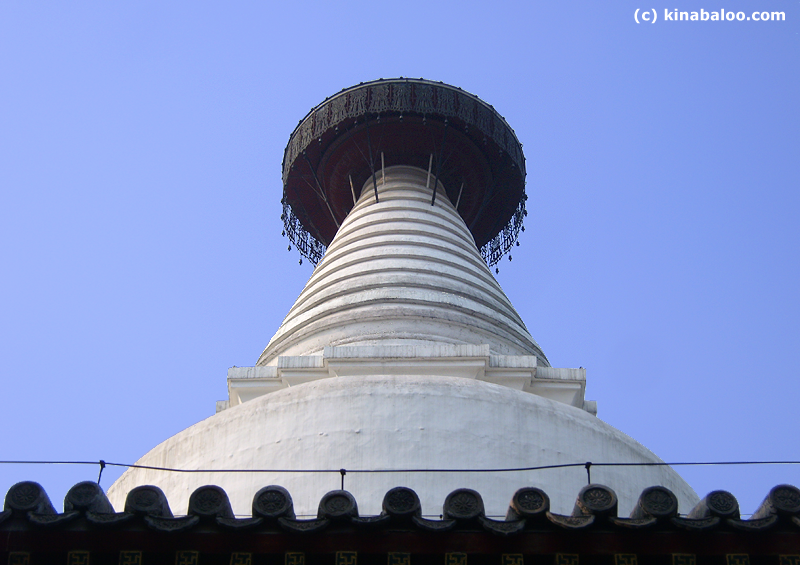 You will see the towering dagoba on your left, the north side of FuChengMen Nei Street. 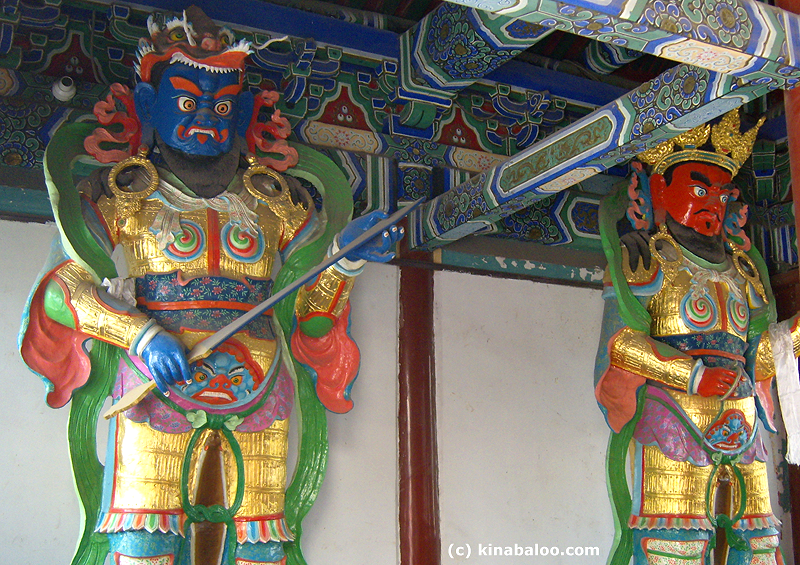 The temple was first built in 1096 during the Liao Dynasty, according to historical records. In the year 1271, Mongolian leader Kublai Khan united the country and started the Yuan Dynasty (1271-1368); he became known as emperor ShiZu. 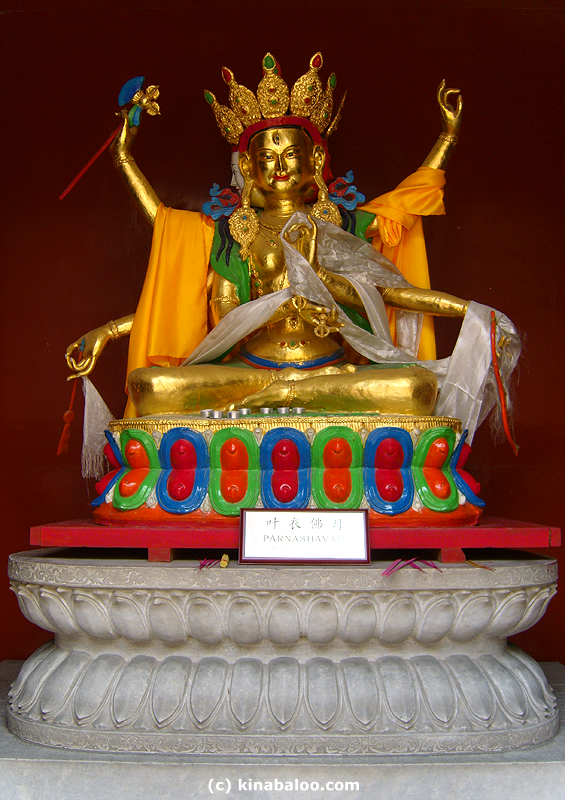 To enhance the relationship between his empire and the religious power in Tibet, Kublai Khan granted imperial permission to build the lamaist White Dagoba. In 1271 the original pagoda was dismantled and a new Lamaist dagoba, on a larger scale, was erected. Construction was overseen by the Nepali architect Aniko and it was completed in 1279. This is the dagoba we see today. 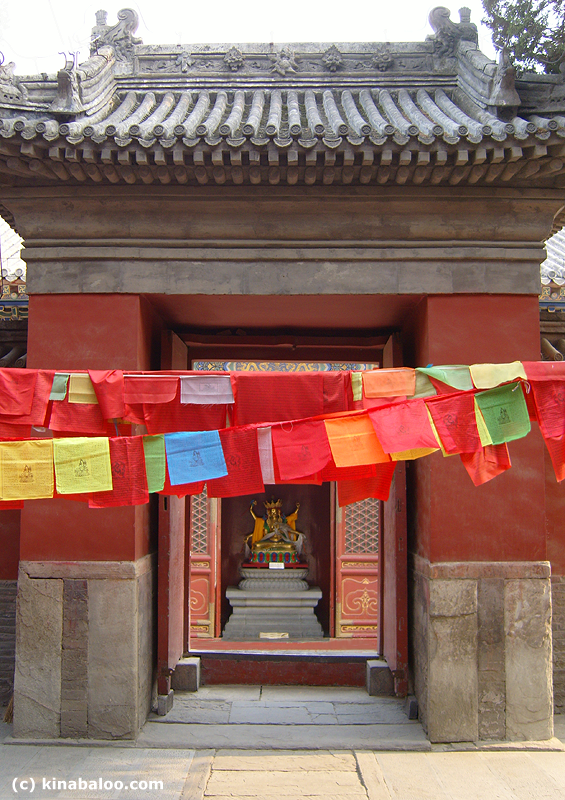 The White Dagoba temple functioned as an imperial temple during the Yuan Dynasty (when Beijing was known as Dadu) and a ceremony for Kublai Khan was held there when he died. 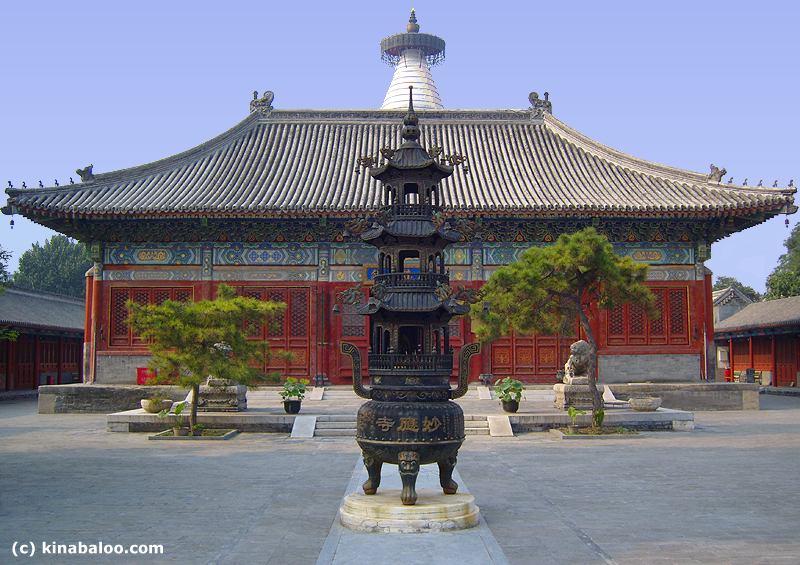 After a major fire that left only the dagoba standing, in 1457 emperor TianShun of the Ming Dynasty (1368-1644) commanded a rebuild of the temple which then covered an area of 13,000 square meters (3.2 acres), much smaller than the original dimensions. 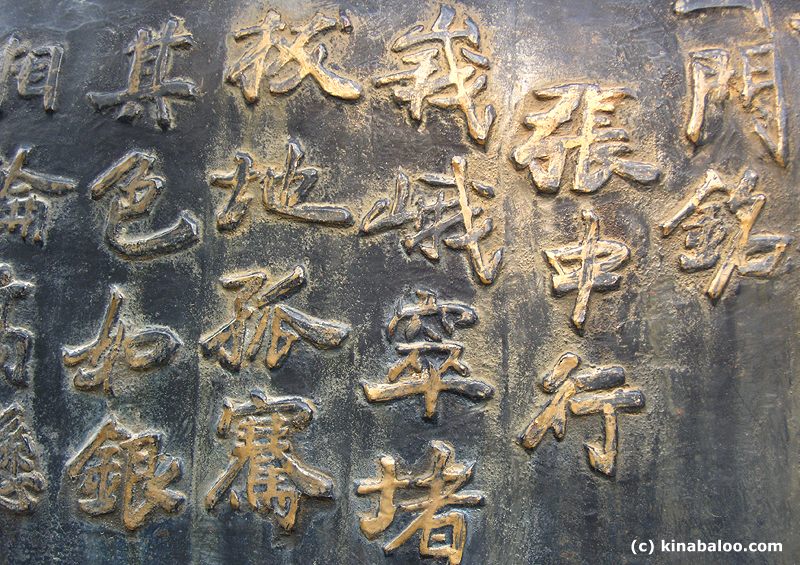 It was renamed MiaoYing Si (si means temple). The temple complex has retained the same layout since then until today and is under state protection. The temple is primarily composed of the White Dagoba and four main halls. 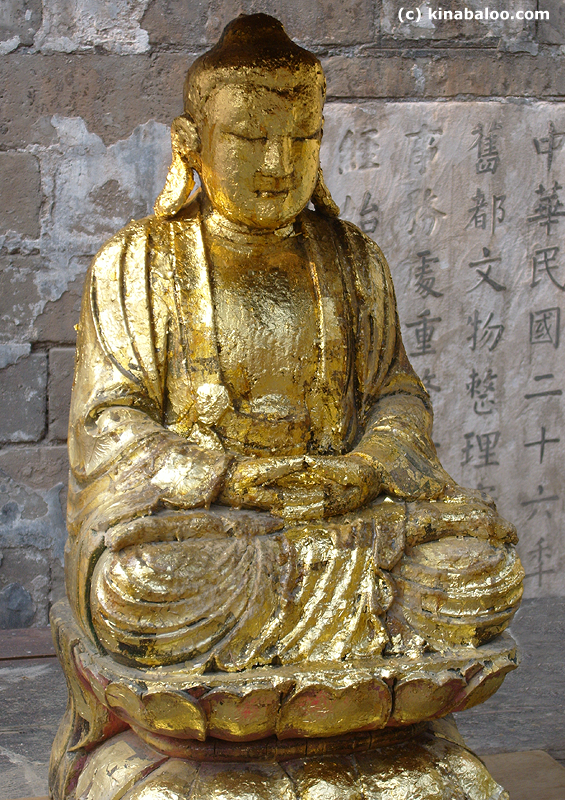 One highlight for visitors is inside Dajue Dian (Hall of the Great Enlightened Ones), the first main hall; it contains thousands of small golden Buddhas, now enclosed in glass cases. The dagoba is composed of five main sections: a terrace platform, a lotus bud shaped body painted white with lime and holding sealed religious artefacts, a steeple of thirteen shrinking layers (known as the 'thirteen heavens'), a beaten bronze canopy with 36 bronze bells hanging from its rim, and a spire. Unlike most dagobas which have a crescent moon or a precious bead at the top, this dagoba has for a spire a small bronze Lamaist sutra mounted on the steeple's canopy.